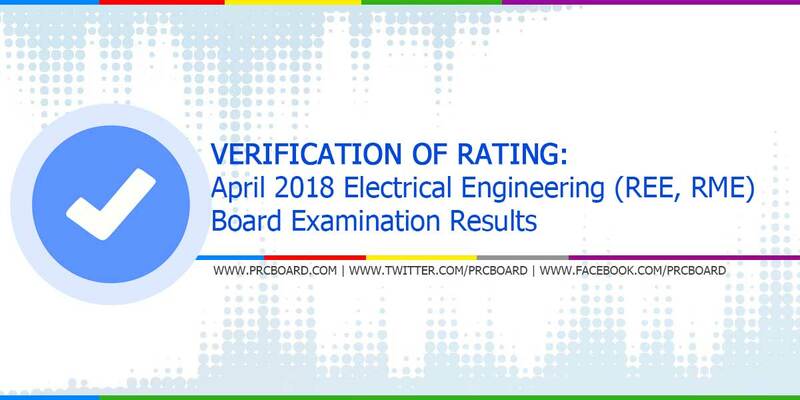 MANILA, Philippines - The verification of ratings and test results for the April 2018 Registered Electrical Engineer (REE) and Registered Master Electrician (RME) licensure exams given by PRC Board of Electrical Engineering will be available online few working days after the posting of results. To keep updated on related news and announcements about April 2018 REE & RME board exam results, we advise our readers to visit PRC official website or follow us at our social media accounts via Facebook and Twitter. tnx for the favorable info.